The hotel is located directly opposite Cork Airport with a walkway from door to door and in Cork Airport Business Park. Just 5km southwest of Cork City. Only ten minutes away from Cork City centre. We really enjoyed our stay. The hotel is very modern and clean. The breakfast was a fantastic spread. Thank you! I booked this hotel for a 2 night stay on the weekend of 3rd to 5th June 2016, the location was spot on, the hotel, the staff, the food and the people were fantastic. Nothing was too much trouble and they all done a brilliant job. we had a bed a breakfast booking and both the room and breakfasts were excellent, nothing more could be done just keep things as they are. i did order room service on both nights and again this was fantastic. i would most certainly recommend this hotel to anyone visiting cork and I do plan a re visit next year. Brilliant place well done to all. Room was very comfortable and quiet. Buffet breakfast was very comprehensive and food good. We very much enjoyed our brief stay. The hotel is excellent overall. The room was great, the breakfast very good, the staff friendly and professional and the general decor lovely. My Wife and I stayed for 1 night (Saturday January 30th) . Our experience of the Hotel was truly excellent. On arrival the person at the Reception desk ( His name was Manny) was so pleasant and helpful .He provided us with all of the necessary information relating to the Hotel and printed out a bus timetable for travel to the City and back to the Hotel. As it turned out Manny was also on the same bus journey to the City and on arrival at the bus station waited for us to disembark from the bus in order to see if we required any help with directions around the City. ( obviously he didn't need to do this as he had finished his work for the day) The room was very comfortable and breakfast the next morning was superb. The staff in the Restaurant could not be more helpful. We didn't use any of the other Hotel facility's as the stay was so short. Visiting the Cork International Hotel was a wonderful experience all round and we will return to your hotel on our next visit to Cork City. Very good stay, food nice, breakfast excellent, staff very friendly and helpful, room comfortable and spacious. 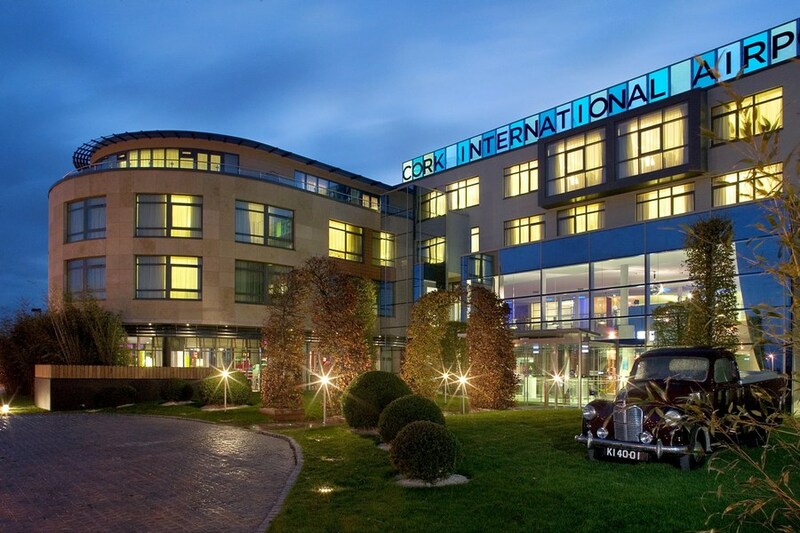 The Cork International hotel is an airport hotel but way exceeds expectations in both service and value for money. We first stayed here when it opened a number of years ago but it has been totally revamped since then. Lovely hotel, great staff with plenty of nice touches to make our stay a great experience. Would definitely recommend staying here. Fantastic hotel! Will definitely be staying again. Lovely, friendly staff. Very modern interior. Fab! I thought this hotel was very good. It has lots of extras you don't get in other hotels. The relaxation room that's designed like an airplane and doubles as a cinema in the evening for kids is a nice touch. They have a games room with a Wii in it too! Hotel is only 20 minutes from Cork, Fota, Mahon Point and Kinsale. The best thing about this hotel was the staff who were all helpful, friendly and smiling which is a very rare thing in hotels anymore. I would highly reccommend this hotel. Especially for families! We stayed for one night with our two children and had a fantastic time. The room was very spacious and comfortable and the playroom and cloud 9 kept the children busy! Well impressed with The Cork International Airport Hotel, its modern, spacious, clean and most importantly, at night, its quiet.. Every staff member I met was welcoming, polite & cheerful. Breakfast was one of the best hotel buffet breakfasts I have had. We were going to a show in the city centre, we took a taxi and the cost each way was 17 euro. Many thanks we had a lovely stay, great food and hotel fab.Will be back sometime. We were greeted on arrival with an extremely helpful and efficient young man. So that was a good start!!! And in fact the whole experience just followed the same lines. Very recommendable. Our room was very comfortable and large. excellent hotel. Reception staff v. professional. Food is great in the bar. Staff are very polite. Breakfast is the best ive seen in Ireland. Rooms are clean, comfortable, spacious and quiet. The only drawback is if you are staying there for a concert or theatre night out it is costly in a taxi from there approx. 17euro each way. But it is worth it. I have stayed several times. Keep up the good work. Cleanliness and customer service is paramount. Great hotel, realy enjoyed stay. Exceeded our expecation !! Highly recommended. Were there on bank holiday weekend with three small kids. Hotel reception staff were very friendly and helpful. Family room was big enough and very clean. WIFI worked great. Breakfast spread was lovely. Loved the massage chairs in the Cloud9 room. Thinking of going back soon !! Would be nice if hotel has indoor pool but other than that, all positive ! 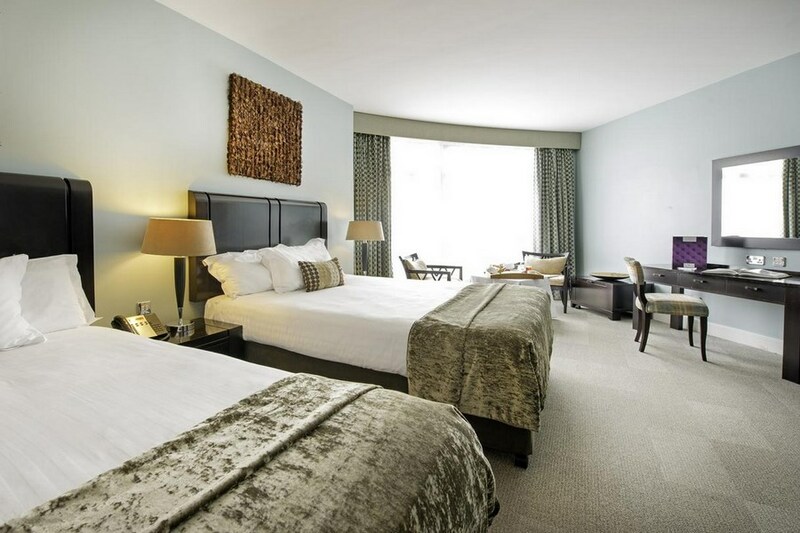 Excellent, modern hotel with spacious public areas and bedrooms and courteous and helpful staff. Very good buffet breakfast + omelettes when the chef is on duty in the buffet area. Attractive restaurant with reasonable food. We have returned there on several occasions. Only issues on latest occasion were an unnecessary glass topped table in our bedroom which occupied too much space and uncomfortably foam-filled pillows. Excellent hotel, judging by a very brief stay. Thoroughly enjoyed our recent stay. Rooms, staff and service were excellent. Had a great stay and i would highly recommend it to others. All staff is very friendly and welcoming. Location and facilities of the hotel are excellent. Will stay there again. I stayed here with my husband recently. We went to a concert at the Marquee on the night - a quick hop on the bus (just a few yards from the hotel) and we were brought into the city centre. Cork is such a beautiful city and the Cork International Hotel is such a beautiful hotel. The staff could not have been nicer - so friendly and helpful. They made us feel very welcome. The bed was massive and very comfortable and the room was spacious and spotless! The only negative point I have is that it was a bit tricky getting into the car park of the hotel. In fairness I hadn't checked the website to get directions on how to get to the hotel - just thought that it was beside the airport, so shouldn't be too hard to find!! Turns out we parked in the wrong car park! Those signs at the roundabout at the entrance to the Business Park need to be more prominent. Also I was looking out for your logo, but missed the little yellow sign on the roundabout, because I was expecting to see the logo & colours that are on the website! I'll defiantly be back again! we stayed for 2 nights and we could not ask for any better.the staff were brilliant and all local which is rare in some hotels nowadays but it is for the good.the location is a bit isolated but everything is there so you dont need to travel out.room was lovely and clean and food good and plentiful.but the staff were the icing on the cake,so friendly and helpful. I would give this hotel a five star rating. It was absolutely beautiful everything was so well presented from the minute you stepped inside the door. The rooms were superb. If I had a negative comment it would be that the breakfast hot food wasn't hot enough and when I asked for a phone charger at the desk it was broken. However it is definitely a place I will visit again. Spent just one night at the Cork International Airport Hotel in mid April. 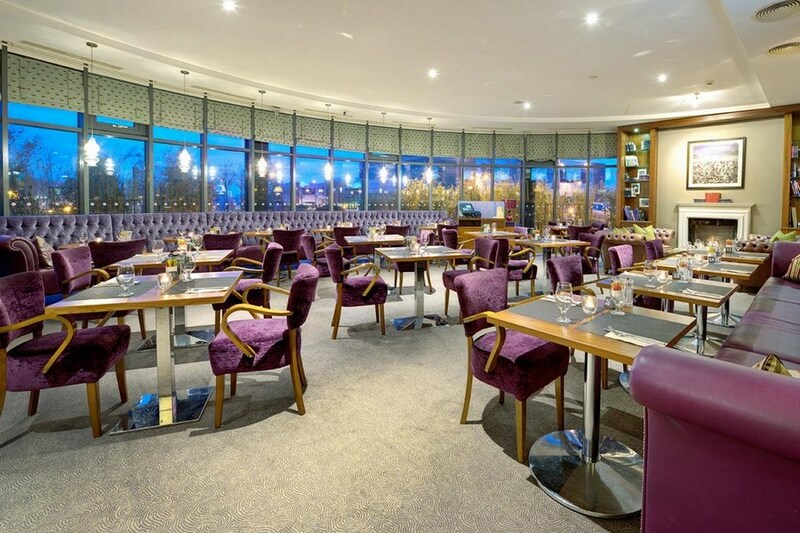 The public areas are very plush and welcoming, a fantastic purple and lilac colour scheme. Check in was very efficient and the receptionist provided all the information we needed for our stay. We had dinner in the restaurant which was delicious and presentation was wonderful. Service was very good and the waiters very attentive without being intrusive. The only thing I would have liked would be that the bedroom colour scheme could have been a bit more in line with the public areas. The brown, cream colour scheme was nice but a bit masculine and corporate looking; aside from this one personal quibble, the room was perfectly fine. We enjoyed our stay and would have no hesitation in recommending this hotel to anyone, which we have already done ! Thank you Cork International Airport Hotel. This is a really lovely hotel. Clean, comfortable and not too far from city centre. Staff were really friendly and helpful and I very much enjoyed my stay. I would definitely recommend it. Fantastic stay at the Cork International ... great value , very comfortable rooms , very nice lobby and reception area. Would definitely recommend the New Yorker Bar for an evening meal and great kids menu also. Fantastic selection for breakfast would definitely stay again when travelling or just for leisure. Stayed for the first time after Christmas for 2 nights in a family room. It was definitely the most spacious family room we ever stayed in - 2 double beds and plenty of room for travel cot. Had bathroom and then separate shower room which was handy. Staff lovely. Breakfast really good. Would well recommend it and will hopefully get to stay there again. Also, very handy location to use as a base for Cork, on the link, near the city, very close to Kinsale etc. Great room very much enjoyed one night stay. What a fantastic place. Will definitely use this hotel again with the kids. The cinema room a must!!! Thoroughly enjoyed our stay, room was fabulous very spacious, hotel staff very friendly nothing was a problem. Breakfast and food top class, will be staying there again would hightly recommend hotel to friends and family. I'm a frequent visitor to cork and I love this hotel. Staff are friendly. Rooms are not only nice but there spotless. The breakfast was lovely too. Chef even cooked my daughter some waffles. She was thrilled. I will definitely have a return stay in the future. Fab hotel. Great for people traveling with kids. We had a family room which had lots of space and was very nicly decorated and comfortable. Food in the Hotel bar was lovely and reasonable and the staff were very friendly nothing was a problem. Breakfast was excellent nice choice and would making something for you if you wanted something that was not on display. Over all i would strongly recommend this hotel to anybody either travelling from Cork Airport or simply staying in the cork area as a base. Excellent, top marks. spotless clean room, staff very helpful and friendly. Breakfast very good . I will be staying there again. My Husband and I stayed at this Hotel for 3 nights b&b, it was absolutely fabulous, with huge bright Reception area to greet you on arrival with very friendly staff. Breakfast excellent with a great choice and they even made the.most delicious waffles fresh. Bed and shower excellent. We eat on two nights in the Restaurant, food was good with one of the most efficient and fastest waitresses I ever saw called Noreen, she just flew around the place and made a very difficult job look so easy, The small cinema, play area and books to read in the Reception area made this Hotel a wonderful place to stay. We will definitely stay here again, ( can't wait). The only complaint I have is the strong smell of scents from the Air Con in the Reception area, I would love to have spent more tiime browsing through the onderful books but because of allergies I had to make a quick exit. I was sorry I did not say it to the Receptionist whilst staying at this Hotel, which I would rate as one of the best Hotels we have stayed in Ireland. Well done to you all and continued success. Great hotel. Really enjoyed our stay there. Staff where very helpful and friendly. NiceI atmosphere in the hotel. Would definitely stay again.